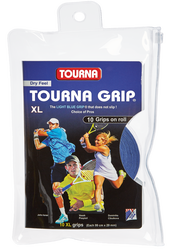 "The Light Blue Grip that Does Not Slip"
▷ Tourna Grip Absorbs like no other. 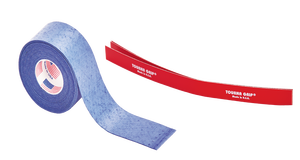 ▷ The ultimate grip in hot and humid conditions. 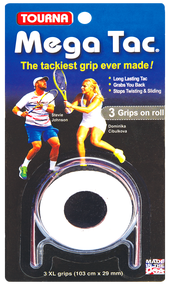 ▷Stop Blowing on your hand and wiping your hand to get it dry in between points. 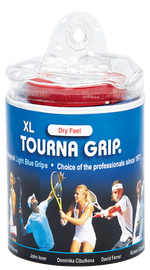 Why is Tourna Grip the Choice of Professionals? 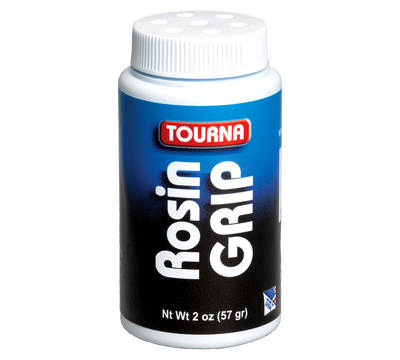 ☛ Tourna Grip Absorbs 350% of It’s Weight. ☛ It’s the only grip that get’s tackier as you sweat. 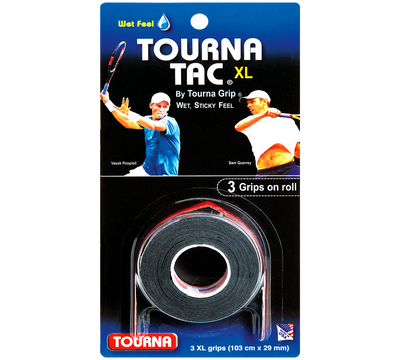 ☛ Tourna Grip starts dry then as you start to sweat, the moisture in your hand activates the grip and makes it tackier! 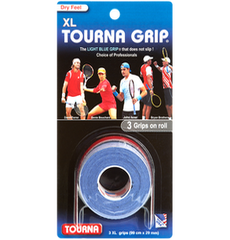 ☛ The proprietary material found in Tourna Grip actually wicks sweat away from your hand and becomes tacky when you need it most! ☛ All other grips start to slip once they get wet. 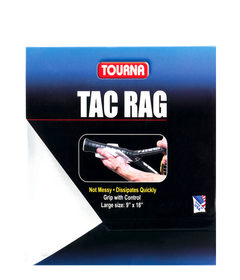 Even imitation dry grips. 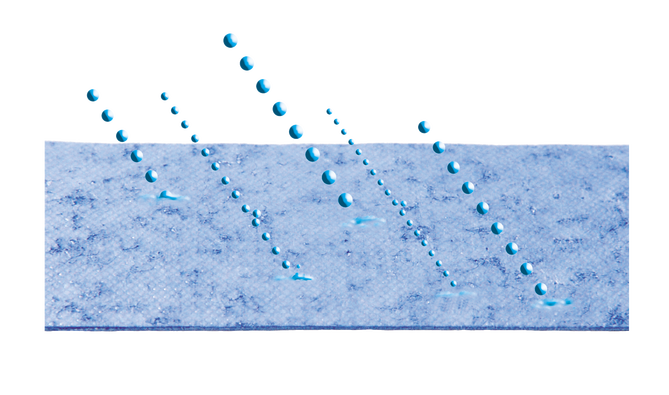 ☛ Nothing else absorbs sweat as well, Nothing else performs as well. 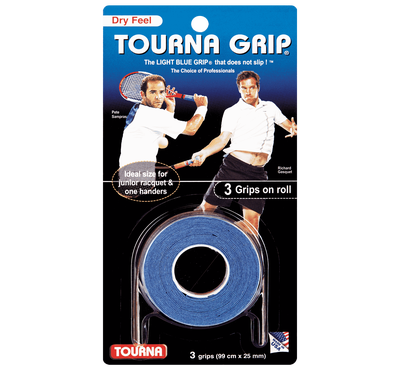 "Tourna Grip is used by Hundreds of Touring Pro’s"
▷ The tackiest grip ever made. ▷ The tack that lasts. ▷ Try it and be amazed. ▷ Tacky with soft feel. 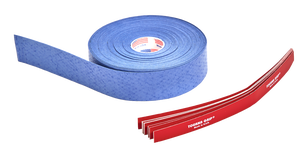 ▷ Absorbs like no other grip. 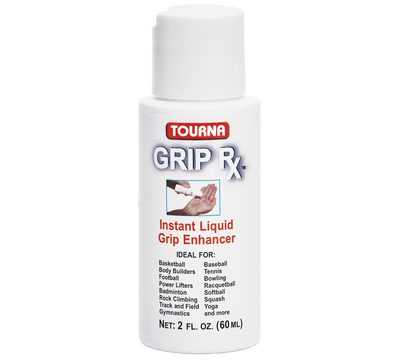 - try our popular grip enhancers!